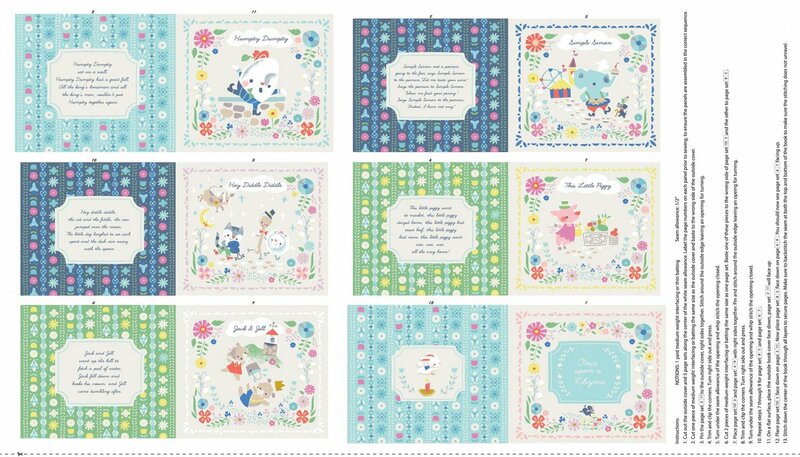 Soft Book Panel from the Once Upon a Rhyme collection by Jill Howarth for Riley Blake Designs. Sold by the panel. Each panel measures approximately 24" by width of fabric. Note: The project instructions printed on this panel are incorrect. Please disregard and assemble using the supplemental instructions provided with each panel.